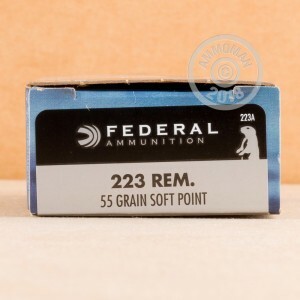 Whether you're using a bolt-action or an AR-15, you'll appreciate the accuracy and terminal effectiveness of these Federal Power-Shok rounds against vermin and small game. 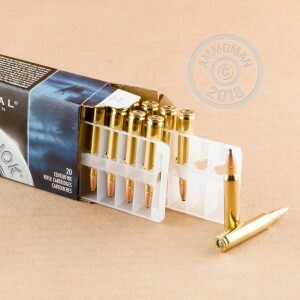 Loaded with a 55 grain soft point bullet, these cartridges share a similar external ballistic profile with commonly available M193 ball ammo, making sighting in a breeze. This ammunition is manufactured in Anoka, MN using non-corrosive Boxer primers and brass cases. 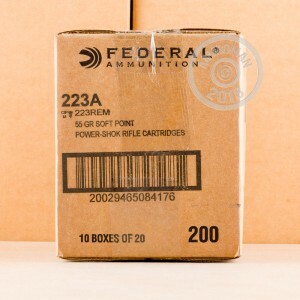 Each case contains 200 cartridges subdivided into 10 boxes of 20 rounds each. Shop at AmmoMan for all your shooting needs and get free shipping on all orders over $99!